Join the discussion on our forums! 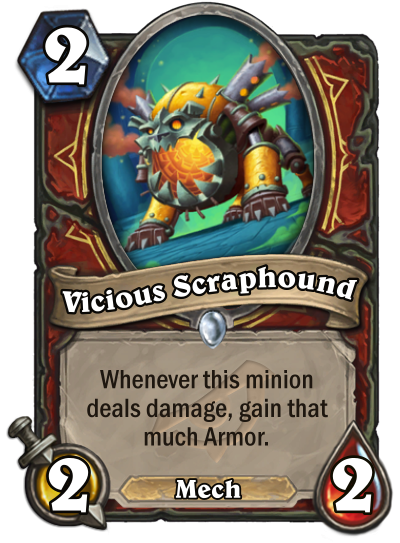 Come discuss Vicious Scraphound over in our dedicated Vicious Scraphound discussion topic. 15 healing + 15 armor. Nice swing. Awesome card with Rush and Magnetize. Looks like the guys at blizzard were playing too much Pokémon to put Heatran here.